Last year, we collected plastic bottle caps to create a one-of-a-kind mural for our school. 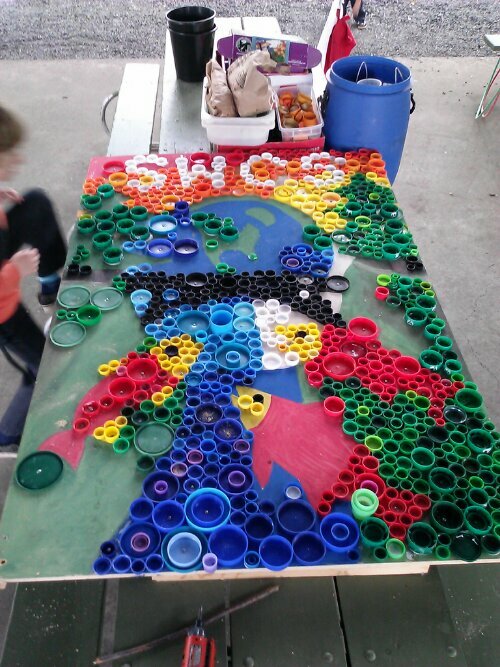 SWCS families kept 1440 bottle caps out of the landfill with this project, and this year we want to do it again! 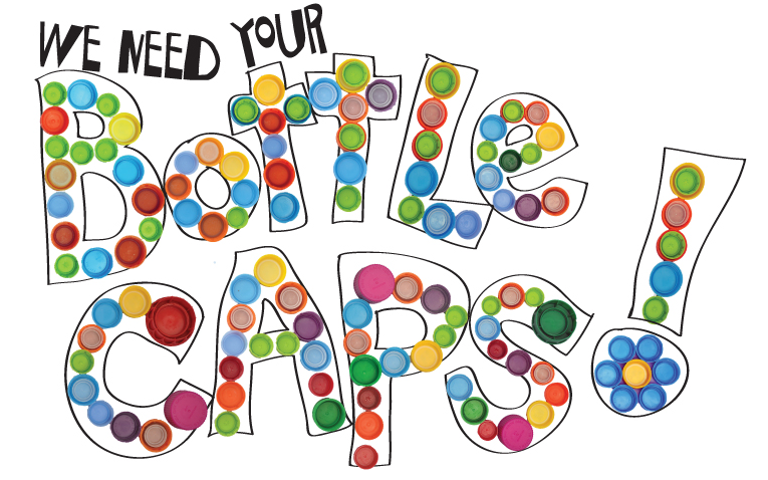 During Field Day last year, students & parent volunteers glued and attached bottle caps to create our water-themed mural, and we want to create one more recycled art project to complete our cycle, but this time with an Earth theme. We will create our Earth-themed bottle cap mural on Field Day! Please start collecting bottle caps! We’ll have a box set up where you can drop off your bottle caps, near Kathy’s desk. Look for the sign! Who wants to design the mural? This entry was posted in Community Life, Events and tagged bottlecap mural, field day. Bookmark the permalink.